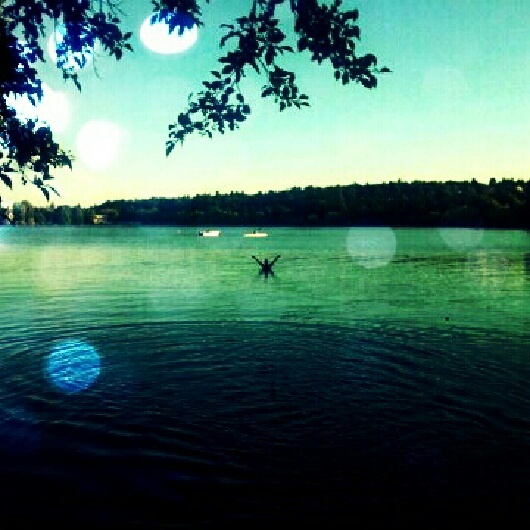 BUT...I learned how to swim!! Yes, I can finally do it. I swam 400 meters today in my swimming lesson, and that was after warming up with 50 and then swimming 150 meters. So...that's 600 meters total!! 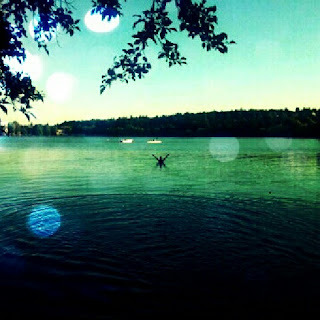 I also swam around 400 meters in Green Lake yesterday. I have been so busy with my swimming, biking and running, that I haven't had much time for cooking healthy meals. So its been all about what's quick and available. Lots of salads and quick veggies and hard boiled eggs and such things. Right now I am eating a Swordfish steak made by Matty on the BBQ. Yay!! So glad for you. What a great goal....and you did it! !